ED, EDII, REA, SCEA… What do they all mean? Different schools typically offer various types of admission options. Each school is different and thus it’s important for a student to double check the admission options of his or her desired college. Each type of admission option is either binding or nonbinding. Binding requires the student to commit to an academic institution while nonbinding means there is no commitment to the college. The graph below describes eight types of college admission options: Early Decision, Early Decision II, Early Action, Restrictive Early Action, Single-Choice Early Action, Regular Admission, Rolling Admission, and Late Admission. – Students are only allowed to apply Early Decision to one college. – Once a student is accepted Early Decision into an academic institution, he or she is committed to that school and the student is required to withdraw all of his or her other college applications. – Essentially the same as Early Decision, but with later deadlines. 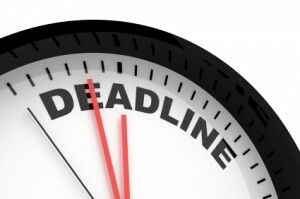 The deadline is usually the same as the Regular Admission option. – Students may apply Early Action to as many schools as they wish. – Deadline: November 1-15, but students are not required to commit until May. – Students are only allowed to apply Restrictive Early Action to one college. – Students who apply Restrictive Early Action cannot simultaneously apply Early Decision. However, students who apply Restrictive Early Action can still apply Early Action to other schools. – Students are only allowed to apply Single-Choice Early Action to one college. – If a student applies Single-Choice Early action, he or she is not allowed to apply Early Decision or Early Action to any other academic institution. – If rejected under the Single-Choice Early Action process, a student may apply Regular Decision or Rolling decision to other schools. – Default application option for many colleges and universities. – No restrictions on the number of schools a student can apply to under the Regular Admission option. – Students may apply at any time throughout the application period. Applications are reviewed and evaluated as they are received. – No restriction on the number of schools a student can apply to under the Rolling Admission option. – No restriction on the number of schools a student can apply to under the Late Admission option. The restrictions for Early Decision, Early Decision II, Restrictive Early Action, and Single-Choice Early Action are very specific. Students should double-check all of the application options for their chosen schools and take the time to consider early action or early decision admission options for their number one school.